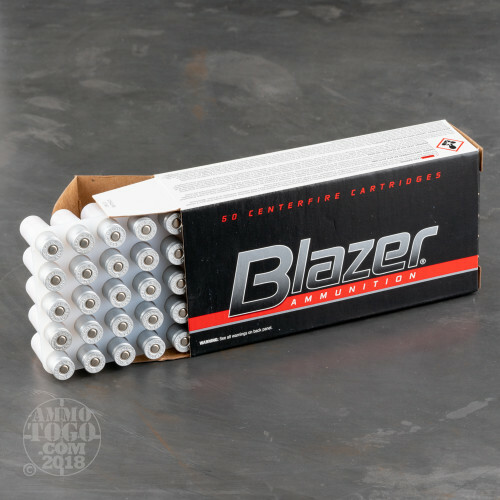 Blazer ammunition is intended to help you cut down on costs without decreasing the quality of components that get run through your favorite handgun. 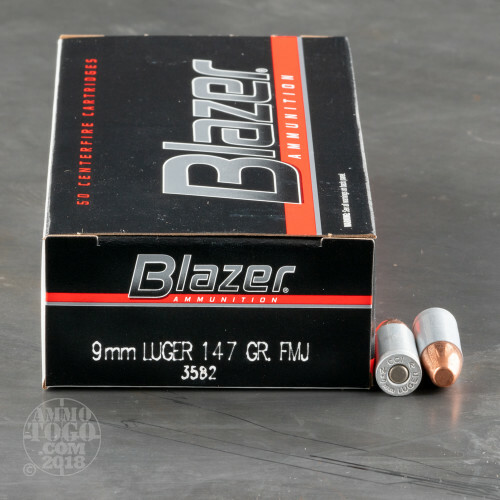 These 9x19mm cartridges feature the very same clean-igniting Boxer primers that made CCI (Blazer's parent group) famous. Each primer is installed into a non-reloadable aluminum casing which is topped off with a 147 grain full metal jacket (FMJ) projectile. 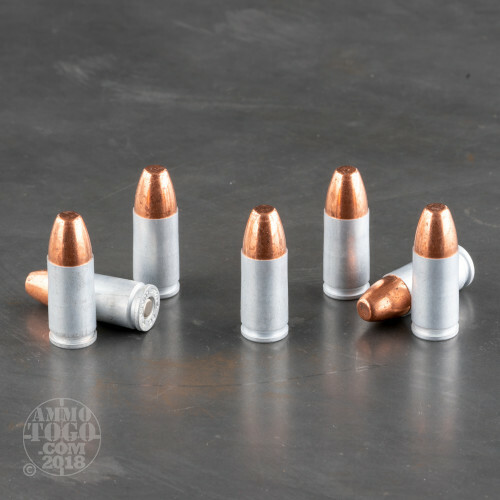 Aluminum is typically softer than modern chambers, breech faces, and extractors and will not warrant more frequent parts replacement than traditional brass-cased ammunition. These cartridges are loaded to a subsonic specification which reduces violent noise impulse when fired through a suppressor. In the 9mm Luger caliber, 147 grains also known to be more stable due to its longer body and to provide a relatively smooth recoil impulse. These rounds also feature flat tips which create easily measured holes in cardboard and paper targets for discernible match scoring. 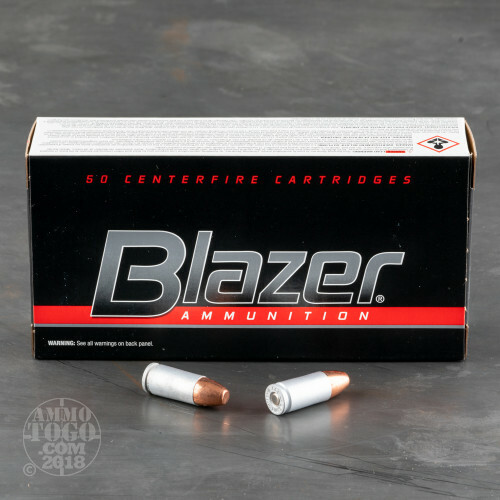 Blazer ammunition is made in Idaho and is supported by over sixty years of experience in component creation and precision cartridge manufacturing.